The 2018 Panamera Turbo S E-Hybrid Sport Turismo arrives at Canadian dealerships in the spring of 2018. Porsche is bringing the new Panamera Turbo S E-Hybrid Sport Turismo to Canada, the luxury automaker said Tuesday. It will combine a four-litre V-8 engine with an electric motor, resulting in 680 hp and the ability to reach 200 km/h in 8.5 seconds. The car accelerates from zero to 100 km/h in 3.4 seconds and has a top speed of 310 km/h. Using solely electric power, the car has a range of nearly 50 kilometres. 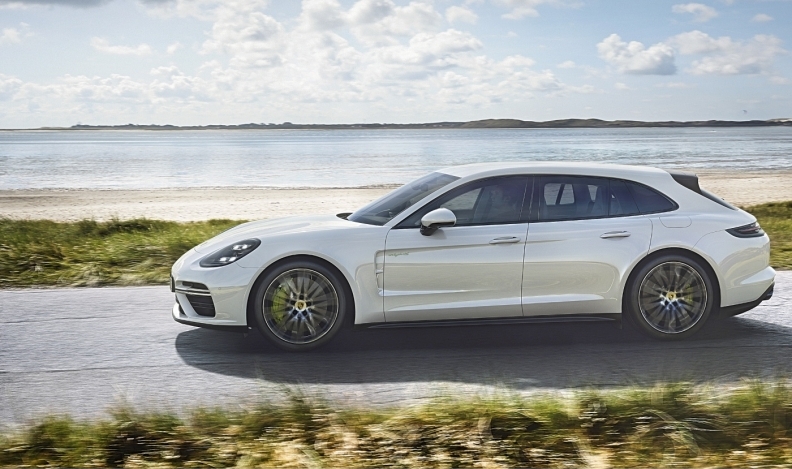 The Panamera Sport Turismo is a wagon variant of the Panamera 4 E-Hybrid, which is designed, in part, to take a piece of Tesla’s fan base. Meanwhile, the wagon version is designed to broaden the appeal of Porsche’s non-SUV range to family buyers. As such, the Sport Turismo is the first Panamera to be sold in Canada and the United States with five seat positions. The 2018 Panamera Turbo S E-Hybrid Sport Turismo arrives at Canadian dealerships in the spring of 2018, with prices starting from $214,900. The automaker didn’t say how much the delivery charge is. Porsche sold 7,016 vehicles in Canada in 2016, an unprecedented annual total for the automaker.